It was undoubtedly a word uttered by many women upon learning that Vancouver-based athleticwear brand Reigning Champ was delving, for the first time, into women’s clothing. It is certainly a sentiment echoed by this author, having spent the better part of three years staring longingly at her boyfriend’s collection of Reigning Champ sweaters and joggers. Sure, the men’s offering can be worn by a woman—but it’s certainly not made for a woman. 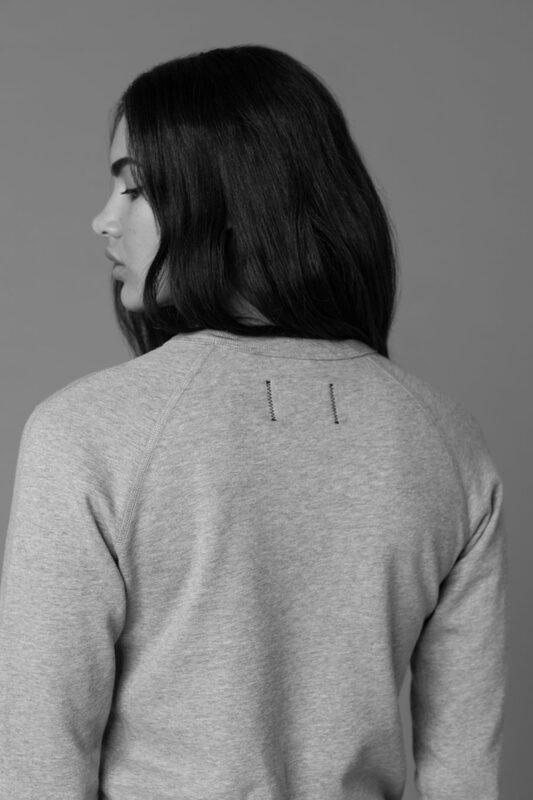 And now, finally, a collection tailored for a woman’s body and designed with her in mind has emerged from the depths of Reigning Champ’s genius. The brand, part of CYC Corporation that also includes the more upscale Wings+Horns (unfortunately still only making menswear at this stage), celebrated 10 years of business in 2017. And what better way to mark the occasion than to welcome in the rest of its dedicated community? The core collection, as Atkinson calls it, took years to finalize and is made up of the most basic of basics: pullover hoodies, sweatpants, crewneck sweaters, t-shirts. The colour palette is monochrome, and the fabrics are of the high quality that Reigning Champ is known for (some of them even being proprietary). CYC also owns its own factory in Vancouver, so many items are made right here in the city. That means hoodies that properly hug women’s shoulders, shirts made of lighter materials, and sweatpants that don’t bunch in all the wrong places. Of course, Atkinson did not come to those conclusions entirely on his own. “Me being the founder of the brand, being at the helm of the brand, I’m the first one to go, ‘Okay, I can’t pretend that I really understand a woman,’” Atkinson admits with a smile. “So we have some strong female members on the team that have really contributed to the perspective of womenswear.” The garments are complicated in their simplicity, highlighting the craftsmanship of design, material, and finished product. 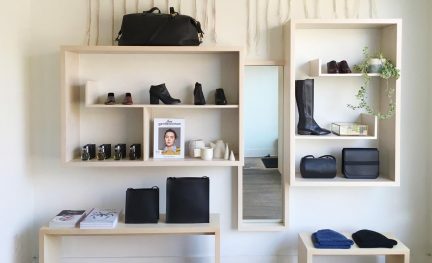 With one Vancouver store in Kitsilano and a Robson one on the way, plus two in Toronto and one in Los Angeles, Reigning Champ is at the forefront of an emerging trend: brands that start digital, and then go physical. 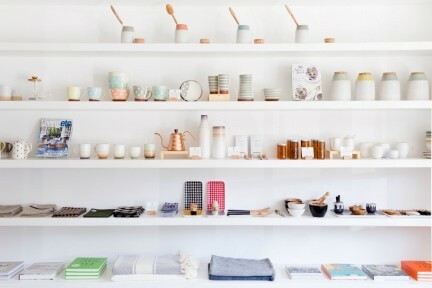 While ecommerce will always be important, Atkinson has begun to heavily value what a brick-and-mortar shop can give to his clientele. “It’s a way for us to offer a platform for people to discover the brand,” he says. “I think it gives us an opportunity to educate people on our product, on how we think as a brand. We can have more experiential events in the store. It’s really just a platform for communicating our message.” Atkinson has a team of nearly 80 now, but he is still very much the creative vision, and clearly is not afraid to roll up his sleeves—sleeves that are made of the finest fabric, sleeves that are produced ethically, sleeves that are built to last. Sleeves that are now also made for women. More Style stories this way.